Cats are typically referred to as either domestic or purebred. Domestic cats do not have a pedigree history of their lineage, while purebred cats do. Three main associations recognize purebred cats: The Cat Fanciers' Association (CFA), The International Cat Association (TICA), and Federation Internationale Feline (FIFe). The CFA recognizes 44 breeds, TICA recognizes 58, and FIFe recognizes 43. The breeds that are not recognized by all three associations are not as commonly seen as some of the recognized breeds, and several factors are taken into account prior to a cat becoming recognized as a purebred. Smaller associations also exist, such as the South African Cat Council. 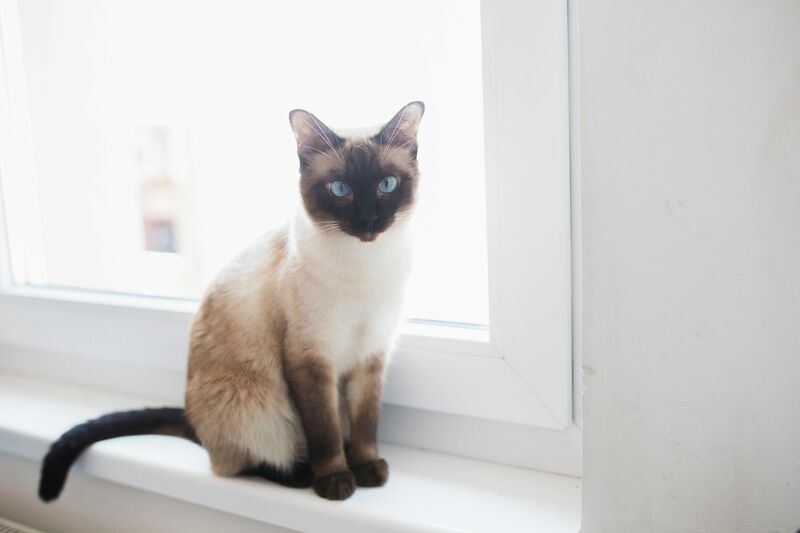 Siamese cats have distinct markings called "points," that are the areas of coloration on their face, ears, feet, and tail, but some Siamese may not have any points. There are also two varieties of Siamese cats, one with an "apple" shaped head and chubbier body and one with a larger head and slender body. The animated Disney film, "Lady and the Tramp," featured Siamese cats singing a song and demonstrating not only their intelligence but also how vocal they can be. Many Siamese cats that were originally from Thailand had a kink in their tail. This trait was bred out of most Siamese, but you'll still find it in Siamese street cats in Thailand. Also lovingly referred to as one of the "smushed-face" cats, Persians have beautiful, long, fur coats. 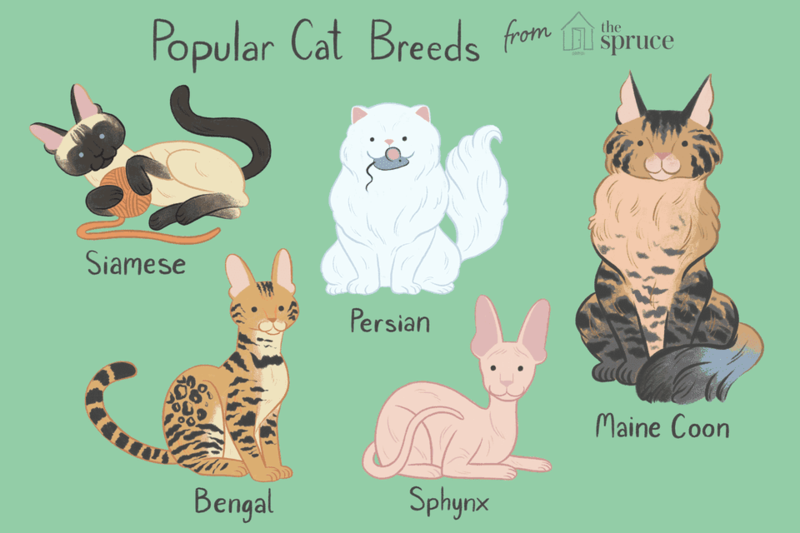 They can come in almost any color, depending on which cat registry association you are looking at, and have a flat face when compared to most other breeds of cats. Some breed descriptions even state the nose is not allowed to protrude past the eyes when viewed in a profile. If you are looking for a cat that doesn't shed, then the Sphynx is for you. Sphynx cats look unique due to their lack of fur and are very social, active, dog-like felines. Devon Rex cats have a wavy, short hair coat and slender bodies. Their fur is also very soft and their ears very large. The Devon Rex is a playful, active cat and is sometimes described as "a monkey in a catsuit." Very similar to the Persian, the Himalayan cat is considered a sub-breed in some cat associations and a breed all their own in others. Himalayans were bred from crossing Persians and Siamese to achieve their color points. Himalayans only come in the color point pattern, but this pattern can be a variety of colors. An all-American breed, the American Shorthair cat is a large, intelligent shorthair feline that has a round face and short ears. They are often confused with domestic, mixed-breed cats, but are in fact a purebred and their name change from domestic shorthair cats in 1966 helped to differentiate them.